Good news! 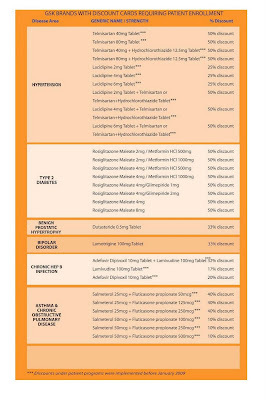 Here's GlaxoSmithKline's list of its medicines whose prices have been reduced, some as large as 50 percent off. 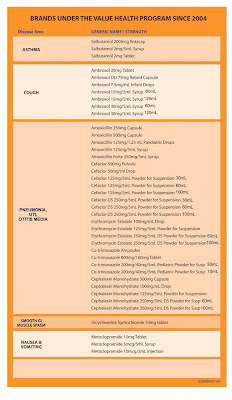 Common antibiotics like Amoxicillin and cough medicine like Ambroxol are among them. 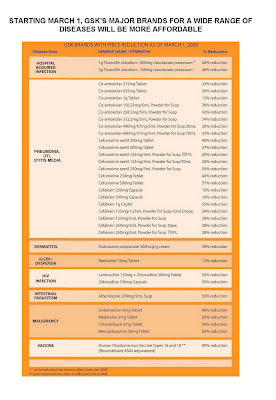 Also, there are some anti-hypertension drugs included; unfortunately, my mom's Bipreterax and Lifezar are not among them. Rats! Download Price list, or click the images below.